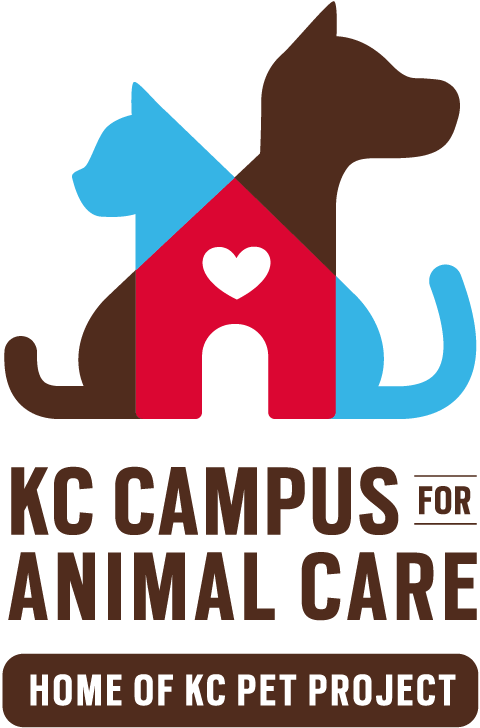 Kansas City, MO: Organizers of the Raise the Woof Campaign for a new KCMO animal shelter, which was overwhelmingly approved by voters in the GO Bond campaign last year, announced today that the shelter will be housed at the newly-named Kansas City Campus for Animal Care in Swope Park. An official groundbreaking is planned for this summer. Over the last 10 months, an organizing team which included the City Manager, Finance Director, Parks Board, City Architect, shelter design team and private sector leadership worked continuously to ensure that the public safety and public welfare needs of the City’s 4-legged population could be adequately met in the new campus facility. 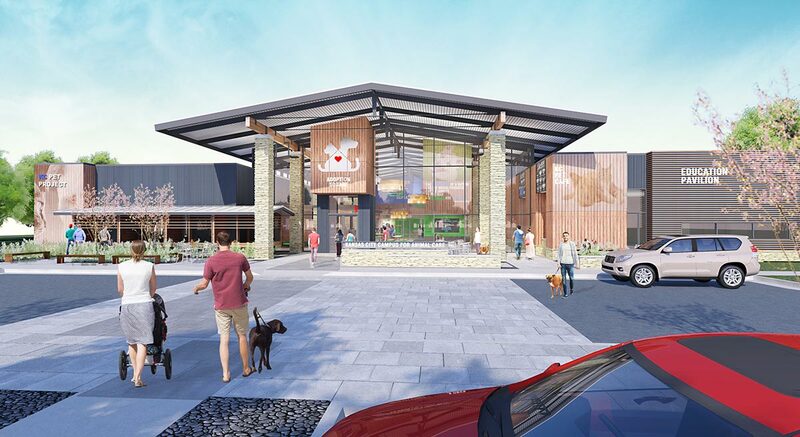 The team surveyed best practices in animal welfare nationally, toured facilities which faced similar challenges, navigated site development issues and worked to finalize plans for the shelter design. Per the Cooperative Agreement just passed by the Parks Board on March 6, the City will contribute $18M in GO KC funding for the project. An operating agreement will also be drafted for both Parks Board and City Council approval. The construction project will adhere to the City’s minority hiring, workforce development and One Percent for Art programs. Funding to relocate the Swope Park Disc Golf site to its new home in the park is also included. In addition to the City’s $18M contribution, the private sector will raise an additional $8M in construction costs, for a total construction cost of $26M for the 55,000- 60,000 square foot campus facility. “The private sector has stepped up mightily on our 6-year journey,” noted Raise the Woof Co-Chair Roshann Parris. In partnership with the late Adele Hall, community volunteer, and Kristi Wyatt, KC Chamber executive, Parris added that the private sector has contributed almost $4M in in-kind services needed to move the project forward prior to the GO bond campaign, including construction, architectural, legal, advertising, accounting, photography and production support. Parris said that the private sector will exceed its commitment to raise $10M in a combination of cash and in-kind contributions by almost 50%. Now that the Parks Board has approved the Cooperative Agreement, the $8M private campaign can now officially begin. 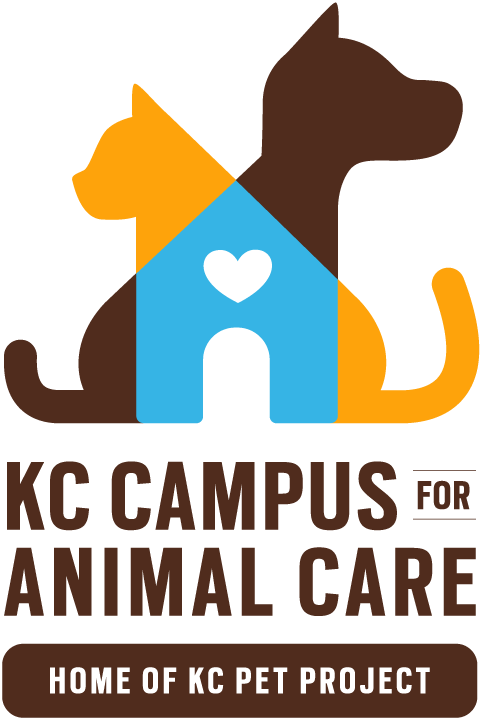 In addition to the almost $4M in in-kind gifts to date, the Raise the Woof campaign hopes to raise up to an additional $5M for an endowment at the Kansas City Campus for Animal Care. The total private sector raise is therefore targeted to exceed at least $15M. Multiple naming opportunities for the new shelter campus will be available. For naming opportunity information for the KCCAC, please click here. Please contact Tori Fugate at Tori.Fugate@kcmo.org or 816-513-9818 for more information.